Tim Rasmusson, passed away suddenly on Wednesday, April 9, 2014 at the age of 26 due to an ascending aortic aneurysm. He graduated from Century High School in 2006, then attended Winona State University. He changed career directions, graduating from Dakota County Technical College in 2010 as an Electrical Lineman. Tim began working for the People’s Energy Cooperative and truly loved his work. Timmay (as nicknamed by his friends) was a true sportsman, enjoying hunting, traditional archery, and fishing. He also had a love for music, teaching himself to play an acoustic guitar, and loved to go to concerts. Tim loved watching all of his favorite sports teams (the Vikings, Twins, and the Wild) too. Above all, Timmay was a family man, and an indescribably, incredible friend. He loved all dogs, especially his dog Bailey which he adopted after he bought his first home. Through his passing, Tim helped countless people by donating his organs including two people that received the gift of sight. The Tim Rasmusson Foundation started as an idea for a school project for Tim’s cousin Karissa Wright. Her desire to organize a 5K was fueled Tim’s friends desire to honor his legacy long-term. Together with Tim’s family, they established the Tim Rasmusson Foundation. With a mission to “Target Togetherness to Help Others”, the TRF will hold annual events for charity. The 2015 Timmay 5k was the first event. 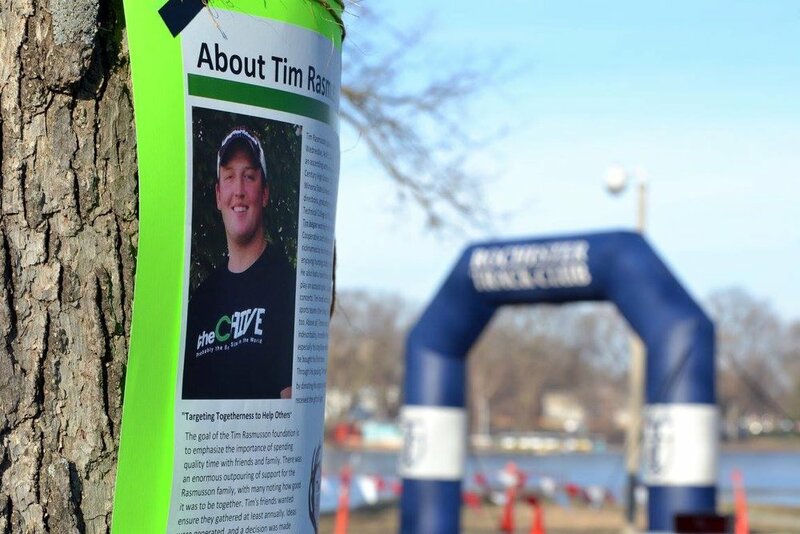 A race theme to “Target Donor Awareness” was fitting because though Tim’s passing was sudden, he still continued to give. As a registered organ donor, many people received his gifts. Funds generated will be given to the Gift of Life Transplant House in Rochester Minnesota. Events held in Tim’s honor will be posted on this website, with all proceeds donated to Charity. The goal of the Tim Rasmusson foundation is to emphasize the importance of spending quality time with friends and family. There was an enormous outpouring of support for the Rasmusson family, with many noting how good it was to be together. Tim’s friends wanted ensure they gathered at least annually. Ideas were generated, and a decision was made to form the foundation from which future events could be organized and funds given to selected charitable organizations. The first event was the Timmay 5k organized by Tim’s cousin Karissa Wright. Future events will be organized to ensure we continue coming together, to make a difference to those in need.